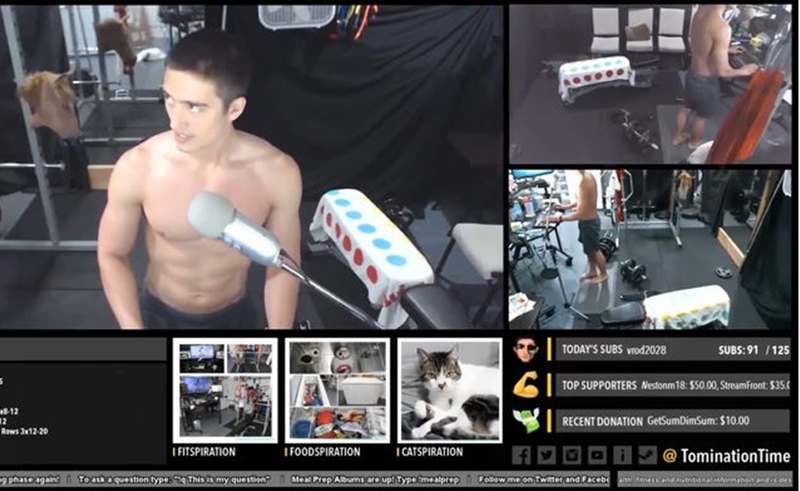 Following its expansion into non-gaming streams with the launch of an IRL content category last December — including vlogs, art, music, eating, and more — Twitch says that a budding crop of fitness streamers are currently on the rise. In a new blog post, Twitch highlights three creators who are sharing their fitness journeys — and amassing substantial audiences in the process. Of course, fitness creators already abound on other social platforms, including YouTube luminaries Cassey Ho and The Buff Dudes. Twitch creator RAWRsquared, for instance, combines gameplay with a daily cardio routine. He’s currently training for a marathon, and chronicling the journey on his channel. Additionally, an avid gamer and powerlifter named SyLoGum — who is ranked fifth in the world for her weight class — regularly posts streams showcasing her training regime. SyLoGum is currently in the middle of an 8-week series in the lead-up to the International Powerlifting League (IPL) competition next month in Las Vegas.